Thanks to the introduction of the Technical Test Servers a few seasons back, the first Rainbow Six Siege update of a new season tends to be fairly light, focussing on cleaning up anything that slipped through the cracks from TTS to launch. This Rainbow Six Siege update does address a couple of the game’s most irritating glitches and bugs, including invisible player models and loadout resets. New to Siege? 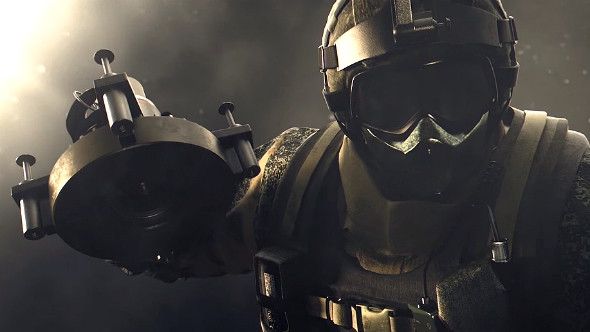 Here are the best Rainbow Six Siege operators. Patch Y3S1.1 arrives on PC on Tuesday, March 20, and will arrive on consoles later in the week. Server maintenance on PC will commence at 13:00 GMT and is will run for roughly 15 minutes, so hopefully you will not have to endure too much downtime. Fixed – during the intro cinematic, the hands of the right-most operator will be misaligned with the weapon.